It was a rare opportunity to encounter Dr. Bonny Norton from the comfort and convenience of my study, while I was in Singapore, and she in Vancouver. Thanks to the web seminar organised by Global Conversations in Literacy Research (GCLR), I had the privilege to listen first hand to the pioneer of identity and language learning theory. 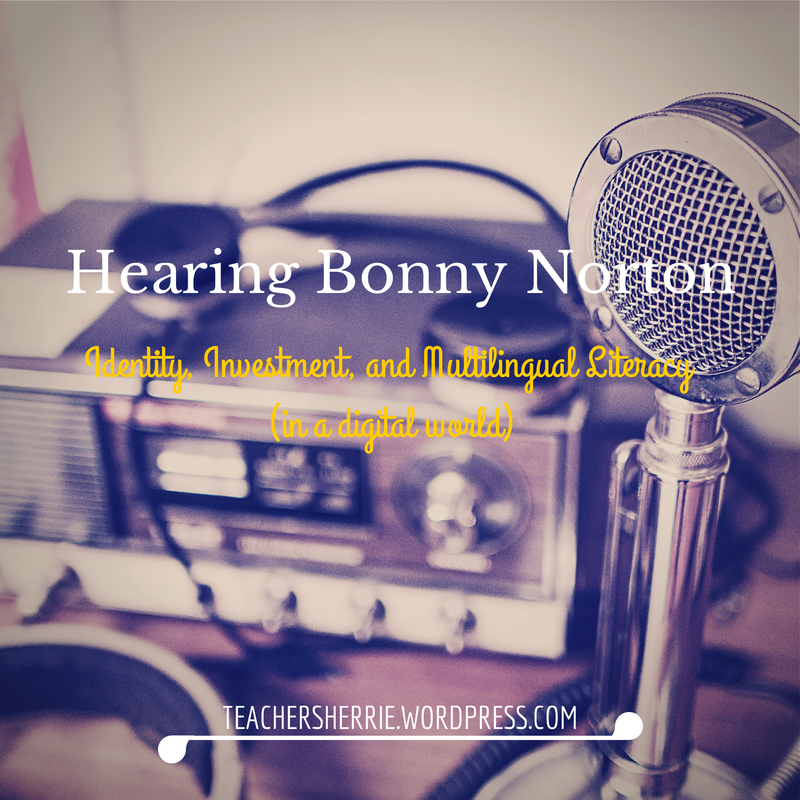 Dr. Norton has researched and written extensively on how individuals have multiple and changing identities across time and space and how these identities influence their language learning. I didn’t realize Dr Norton herself was an example of multiple identities. As I was hearing her speak, I couldn’t quite place her accent until she introduced herself as a scholar, a white woman in Canada, with a South African accent. The awareness and acceptance of how we have multiple roles and identities feature prominently in her writing. As she explained in the seminar, having multiple identities empowers learners, instead of restricting them to choosing one identity over the other. For Dr. Norton, that meant that she didn’t have to choose being Canadian over South African. In the seminar, Dr. Norton focused on her work in Uganda where she and her colleagues introduced digital literacies to teachers and students. The two technological tools they used were the camera and eGranary, literally, the internet in a box filled with millions of digital resources (e.g. wikipedia, educational websites, multimedia documents). With limited infrastructure and access to the Internet and even electricity, students and teachers seized the opportunities to use these newly discovered tools to become better learners, become more respected, and have more power over their learning. Nonetheless, the limitation of having few cameras and a single computer in a classroom of over a hundred students continue to present obstacles to empowering each and every student. The challenge to overcome poverty and (im)possibilities continues. #1 Students become ethnographers in their communities. Students write in journals about their experiences in their day-to-day lives in their communities, and share with fellow classmates in the classroom. Through peer sharing, students may find that their experiences are not unique and teachers find out more about their students’ lives. The key is to create a sense of community in the classroom, making the classroom a vibrant place where the teacher helps to develop meaningful relationships among students. #2 Students speak from positions of strength. For quiet students who do not participate, teachers can identify their strengths in other areas such as sports or music, and structure classroom activities so their talents come to the fore. By doing so, the student’s identity shifts from being the quiet student to becoming the music virtuoso, for example. Other students begin to relate to that student in a different way and the student is able to speak from a position of strength, rather than weakness. As Dr. Norton explained at the beginning of the seminar, both the student and community (of teacher and classmates) are responsible for the student’s learning. Thus literacy is a social practice, and the teacher is responsible for creating conditions for positive learner identity and greater investment in learning. After reading numerous research articles by Dr. Norton, as well as others who have based their research on her theories, the personal encounter with Dr. Norton herself (albeit mediated by one-way video conferencing) has helped me connect the dots. The theory comes alive when the author articulates it and I look forward to many more of these web seminars which build bridges across continents and time zones. Apart from making your waiting (or waking) time less monotonous, 4pics1word is also a great vocabulary game. People around me are hooked on this game – the office lady on the train, someone in the checkout line, my colleague, my boss. The addictive word game available on both iPhone and Android appears simple but forces you to think out of the box (or the four boxes for that matter) to figure out the answer. Apart from making your waiting (or waking) time less monotonous, 4pics1word, I have discovered, is also a great vocabulary game. The basic form of the puzzle is identifying a common word that each of the four pictures (or part thereof) depict. It could be a noun, adjective or adverb, plain words most of the time, but trickier to guess as you move up the levels. The word association exercise teases your mind, making you wonder whether you’ve lost all common sense, but is also a vocabulary builder in disguise, whether you admit it or not. For English language learners, this game teaches collocation, synonyms, antonyms, word parts, and lots of brainstorming on the go. Here are some suggestions of how to use the game in a teaching context. Learners can be introduced to the app and they can figure out the mechanism of the puzzles on their own. More likely, however, they will grab friends (and very soon, innocent bystanders) to ask them to help them solve the puzzle. The nature of the game cultivates a competitive (or self-improvement) spirit and the desire to outwit a bunch of pictures will soon have players unconsciously devouring dozens of word associations and patterns. Teachers can use the game as a warm-up activity and use the puzzle as a teaching point. Some puzzles may have word associations that are too obscure or challenging for learners so explaining the reasoning behind the answer will not only help your students learn, but will also help them to be able to play the game more successfully on their own. Teachers can use the game as part of the lesson itself, getting students to explain how they arrived at the puzzles, asking them to keep a journal on new words and their explanations, and perhaps even getting them to compile a list of their favorite puzzles or the hardest ones to crack. Better yet, students could create their own 4pics1word puzzles for both classmates and teacher to solve. If students are already very keen to play the game, teachers could use it as an incentive and reward individuals or groups who solve the most number of puzzles and/or are able to explain their answers. So instead of just receiving virtual old coins, students can be rewarded with something more tangible. 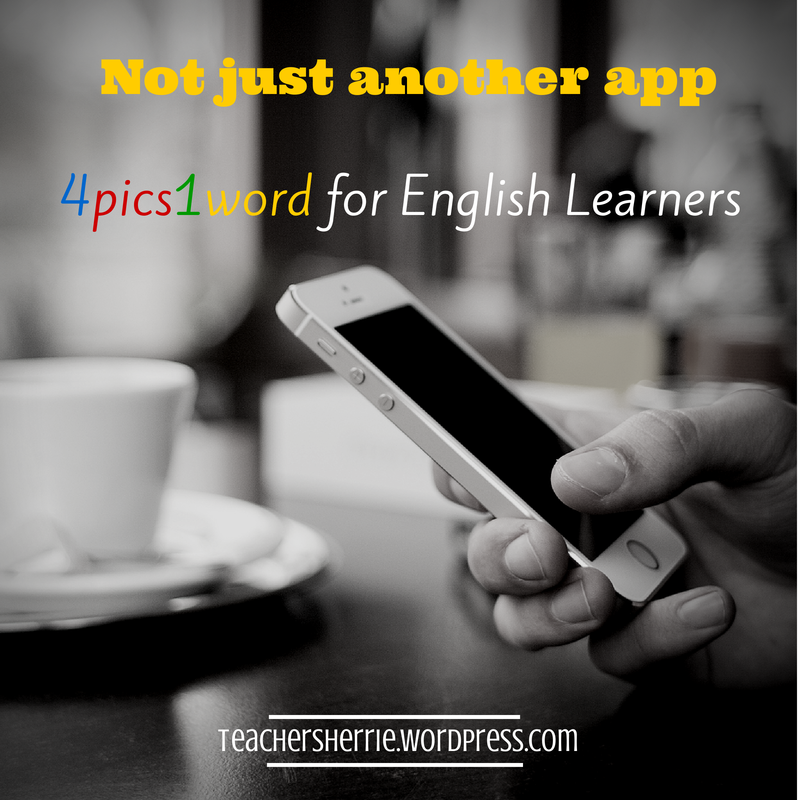 4pics1word is a great example of turning a popular app into a teaching tool where students take to naturally and enthusiastically. 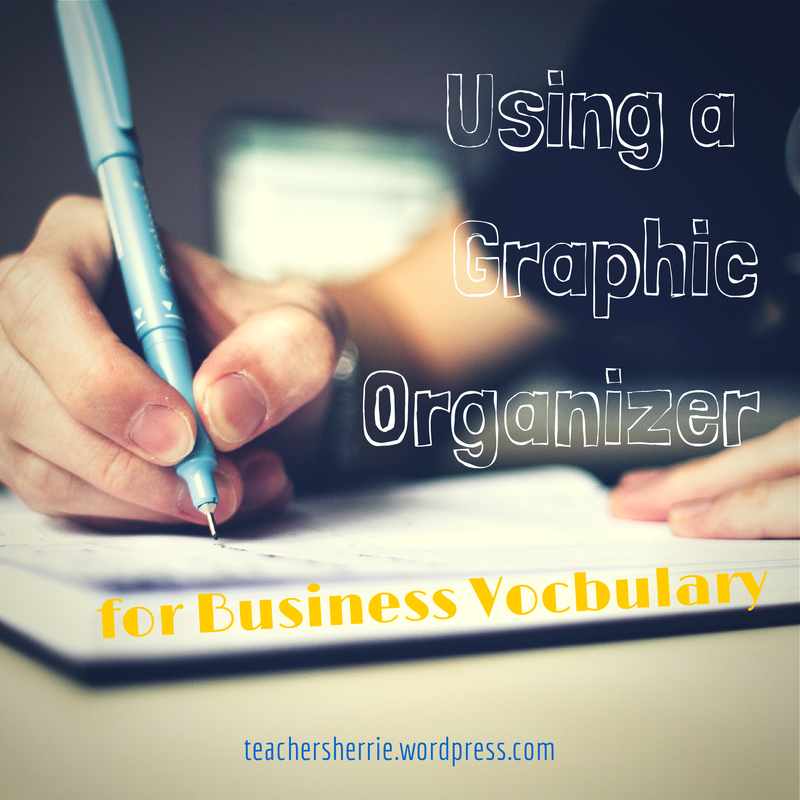 While students can easily learn on their own (consciously or subconsciously) through playing the game, bringing their attention to word meanings and clarifying their doubts will help extend and improve their vocabulary. If you have used the game in class, or if you’re an English learner and have benefitted from the game, please share your experience in the comments. In the meantime, if you find yourself turning into an addict – skipping meals, losing sleep and ignoring crying children – do what I did – delete the app. 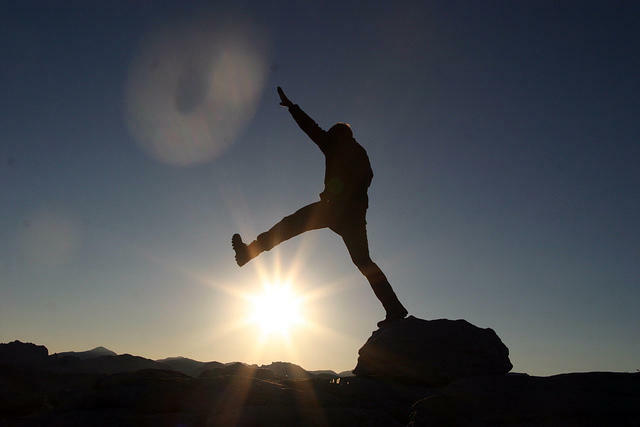 The successful teacher leader is one who is committed to making a difference in the school while the unsuccessful teacher leader is easily defeated by criticism and obstacles. Teacher leadership is not reserved for the chosen few but a responsibility of all teachers. While school culture dampens the spirit of teacher leadership (Barth, 2001, p. 444), empowering teachers as leaders benefit students, teachers, administrators and the school (p. 445). Who is the successful teacher leader? The successful teacher leader is one who is committed to a set of beliefs about teaching and making a difference in the school (Barth, 2001; Ackerman & Mackenzie, 2006). She leads by example and thus begins to influence those around her. She perseveres despite obstacles (Barth, 2009, p. 447), claiming victories however small, and does not give up pursuing unrealized goals. 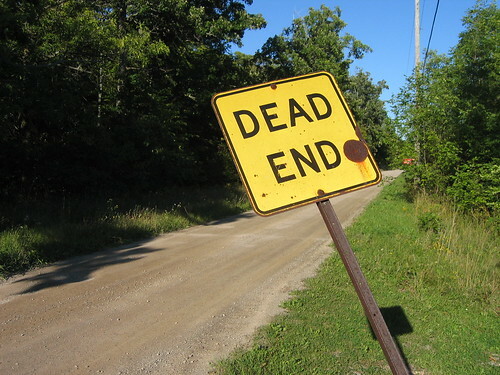 The unsuccessful teacher leader, on the other hand, is not focused in fulfilling goals and is overwhelmed by the daunting workload and critical colleagues. Ultimately, the teacher leader is unsuccessful because she finds greater comfort in remaining in her own classroom than stepping out of her comfort zone (Ackerman & Mackenzie, 2006). 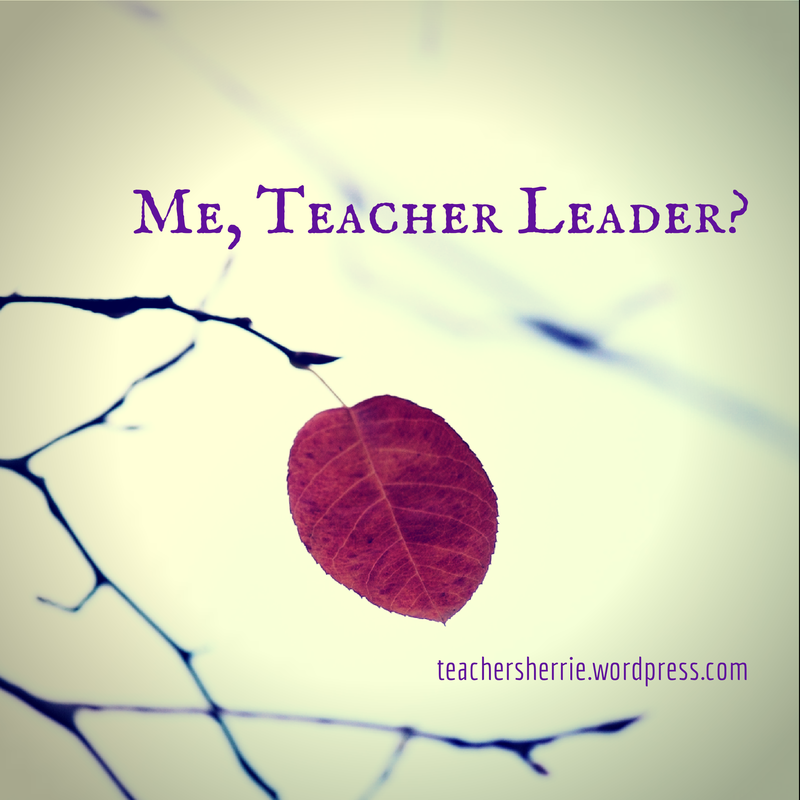 Am I a teacher leader? The initial years of my teaching career were characterized by the traits of the unsuccessful teacher. I was discouraged by colleagues who believed that leadership was reserved for senior staff and administrators. Their skepticism led me to think that I was better off focusing on teaching rather than leading, and that trying to make changes was a waste of time. For example, I suggested compiling video-recordings of student presentations but was quickly censured for creating more and unnecessary work for everyone. Now as I complete my Master of Arts in Teaching, I am convinced that my teaching career is a unique opportunity to be a change agent. When I put myself in the position of a teacher leader, I am committed to producing excellent work, collaborating with colleagues, and helping our students succeed. While obstacles are real, I am reminded by Barth (2001) to enjoy “half a loaf”, that is, finding success in “incremental change[s] in the desirable direction” (p. 447). One of my weaknesses, however, is that my enthusiasm and energy can easily wear off, especially in the face of difficult colleagues or seemingly futile pursuits. Nonetheless, I must remember that Rome was not built in a day and that being a teacher leader is a journey in itself, and a rewarding one at that. Rome was not built in a day and that being a teacher leader is a journey in itself, and a rewarding one at that. One powerful way of developing teacher leaders is through action research where teachers identify areas of concern and begin to take steps to resolve issues to benefit the school community. 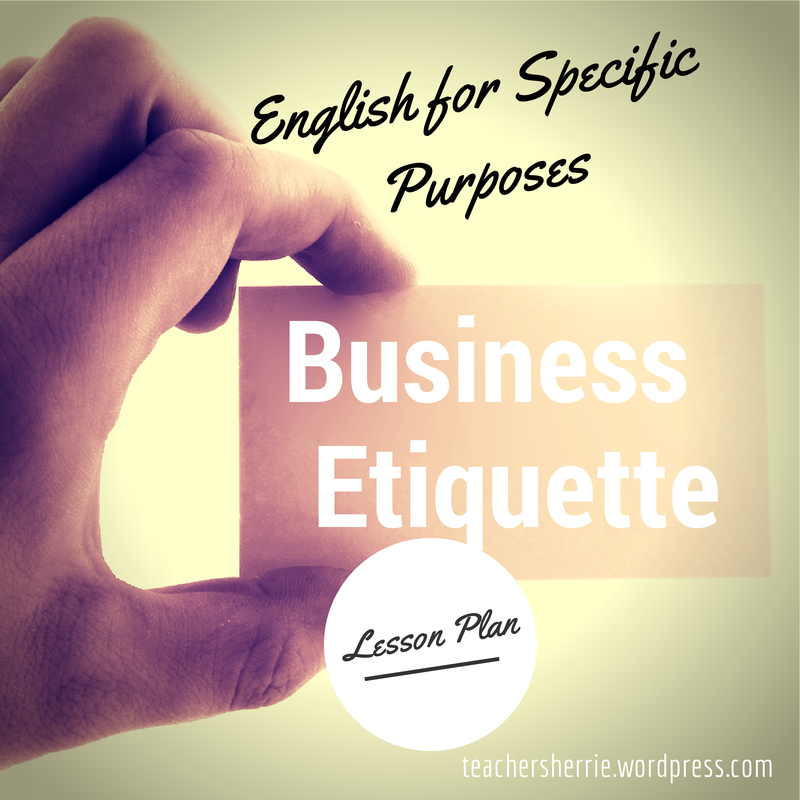 At my school, the business communication subjects are taken by students with varying English proficiency standards. While all students have received education in English as a first language, there are minority English language learners (ELLs) whose home language is not English and face challenges with using academic language. My action research project focused on this problem of practice and explored student identity and empowerment. As an emerging teacher leader, I plan on sharing the findings and recommendations of my action research project at department meetings. In addition, the school’s staff development department organizes events where I will have the opportunity to share my research with a wider school audience. Through these sharing sessions, I will need to develop interpersonal skills such as gentle persuasiveness, especially when dealing with experienced yet resistance teachers. As Danielson (2007) notes, “[l]eading change within one’s own department or team may require considerable interpersonal skill and tact [and] the success of such an effort … depends on the teacher leader’s having established credibility and trust with his or her colleagues” (p. 17). I anticipate most of the audience to be politely lukewarm toward the information I share as the teachers at my school are generally cautious in making changes, especially when there are no immediate and visible benefits. Unfortunately, the issue of student identity and empowerment is one that is complex; it requires effort and time in exploring identity and empowerment issues with students. To counter skepticism among the crowd, persistence is key. First, I endeavor to take up every opportunity within the school, formally and informally, to share the importance of issues of identity and empowerment and how my own action research project benefits students. This entails identifying appropriate platforms to speak, as well as being aware of the barriers each audience brings to the sharing session. For example, if the audience is unfamiliar with terminology, then I will make the effort to modify my presentation in order to be clear, and more importantly, convincing. A teacher leader is committed first to her beliefs and second to harnessing people’s potential to take necessary action. A teacher leader is committed first to her beliefs and second to harnessing people’s potential to take necessary action. In addition, I must also show that my work is recognized by other educators, especially those with authority in the education field. Possible actions include publishing the findings of my study in an education or TESOL related journal and presenting my study at a local or regional conference. The process of publishing or presenting requires a keen understanding of the requirements of each, such as intended audience, paper length and writing style. Apart from the detailed requirements, I must also be aware of the approval process be prepared for rejection. As a novice researcher, the best result I expect is to having to resubmit my paper with changes. Even if I am rejected, however, I view it as a learning experience. I anticipate mixed reactions to my leadership project. Teachers in my school are likely to have varying levels of commitment to address the needs of minority ELLs in our school, even if my study is accepted by a journal or conference. Whatever the outcomes, I aim to be open to feedback and use the experience to inform my next step in leadership. Success in teacher leadership depends on reaching out, modeling for others, and helping colleagues develop skills and understanding (Ackerman & Mackenzie, 2006, p. 68). Success in teacher leadership depends on reaching out, modeling for others, and helping colleagues develop skills and understanding. Thus my desire is to work with the few who are willing and be focused on student success, without losing sight of the bigger picture of greater student empowerment through the actions and leadership of each and every teacher. Even if I end up being alone in my cause, may I continue taking risks “to provide a constant, visible model of persistence, hope, and enthusiasm” (Barth, 2001, p. 447). Ackerman, R. & Mackenzie, S.V. (2006). Uncovering teacher leadership. Educational Leadership, May, 2006, 66-70. Barth, R.S. (2001). Teacher leader. Phi Delta Kappa, February, 2001, 443-449. Danielson, C. (2007). The many faces of leadership. Educational Leadership, 65(1), 14-19. 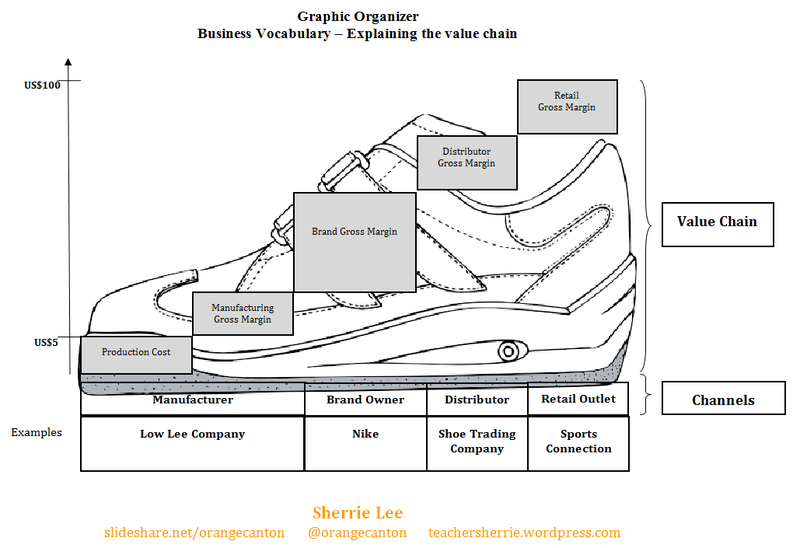 A graphic organizer explaining the value chain in a marketing subject. Sherrie Lee is The Diasporic Academic. Her research interests are concerned with global mobility in international education and migrant communities. She is a knowledge and culture broker & social justice advocate.